Is There A Connection Between Octopath Traveler And Bravely Default? Yesterday, Nintendo and Square Enix celebrated Octopath Traveler selling its one millionth copy with a special piece of artwork. Japanese users have discovered there’s something special about the artwork. 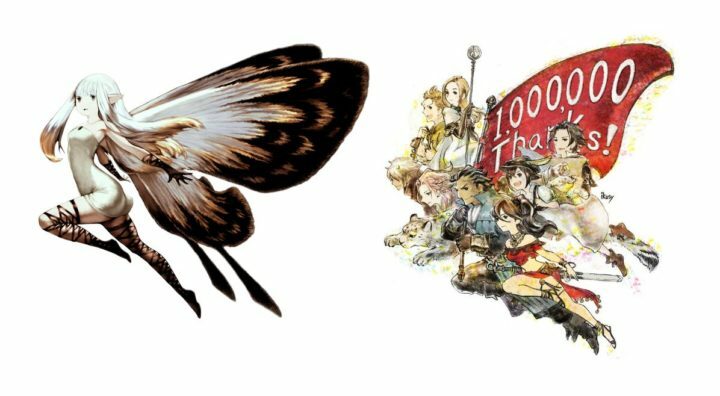 If you look closely, the shape of the Octopath Traveler artwork on the right resembles the shape of Airy from Bravely Default. This has led some to speculate there’s a connection between both games, which isn’t too far fetched.